As the official platform for business at the climate negotiations, the UN Global Compact is providing daily insights on business-climate action, showing the unstoppable momentum toward a green future. 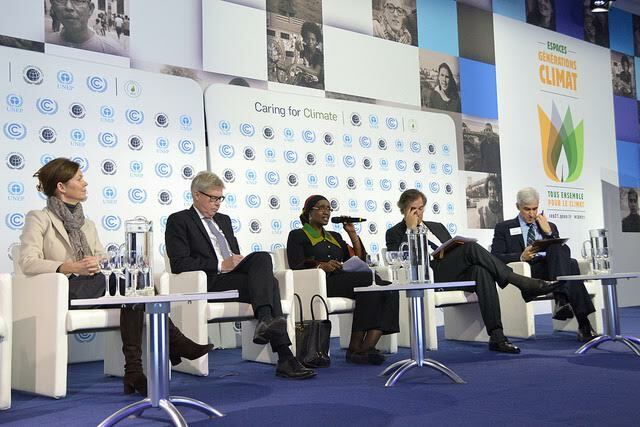 This year, COP21 highlighted the role of business in tackling climate change more than ever in history. Perhaps an even more important development is that businesses are coming to the table ready with solutions and ideas of how challenges can be addressed. Policy engagement is a critical way that businesses can have a bigger impact on the climate agenda. According to the 2015 Accenture-UN Global Compact CEO Study, 55% of CEOs surveyed see commitment to responsible corporate engagement as one of the most important climate leadership behaviors for companies to adopt. In order to develop meaningful climate policy, companies must share experiences and views with Governments. They have to find effective and responsible ways to collaborate with stakeholders in both business and civil society so that policy reflects and incentivizes corporate sustainable business goals. The Caring for Climate Business Forum, held 7-8 December, featured responsible policy engagement practices from the private sector that demonstrated how business can provide credible, transparent and consistent input for effective climate action. 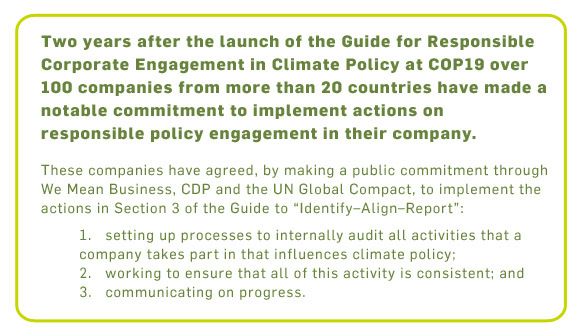 So far, over 100 companies from more than 20 countries have made a notable commitment to implement actions on responsible policy engagement in their company. Coming out of Paris, the message is clear: we need more of this type of communication. The private sector has the potential to fill the gap between what has been committed by Governments, but it will depend on policy engagement. Around the world, companies are putting in place measures to anticipate for and adapt to climate impacts, otherwise known as Adaptation. If done properly, this process brings multiple benefits to companies, such as avoiding costs and better managing liabilities, protecting employees, expanding market shares through new products and services and accessing new financing streams. Companies recognize that their ability to grow and prosper cannot be disconnected from community well-being, and they do not view “the community” as an abstract concept. 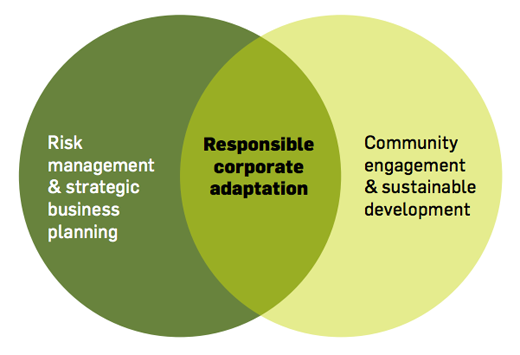 Companies view building community climate resilience as an imperative for strategic business action that must go beyond the realm of corporate philanthropy. However, we know that companies alone are not responsible for setting the adaptation agenda. Over the past few days at COP21, we’ve seeing strong commitments and announcements from government pertaining to adaptation goals. As these initiatives are set and goals are established, the private sector must play an important role in achieving them. The businesses that operate locally in these regions have a responsibility to the markets in which they operate – a responsibility that the private sector is increasingly accepting, and that’s benefiting not only the local communities, but the businesses themselves. Our new Caring for Climate report, The Business Case for Responsible Corporate Adaptation: Strengthening Private Sector and Community Resilience, shares lessons learned and highlights how companies can adapt to climate change through a collection of case examples. As leaders in Paris focus on the global effort to keep global temperature increase below 2°C, the private sector is taking a look at how they can become more productively contribute to this goal. Science-based targets are the key to how companies can be smart about setting goals and determining their sustainable strategy. The Science-Based Targets Initiative, a joint initiative by CDP, the UN Global Compact, the World Resources Institute (WRI) and WWF aims to help companies do just that. It is a unique and approach to decarbonizing the economy – instead of setting an arbitrary target that can be easily met, a company sets a sustainability target that reflects their contribution to global emissions. 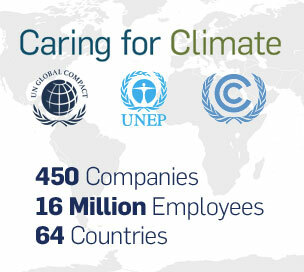 At the conclusion of the Caring for Climate Business Forum, more than 114 companies have signed onto the Science-Based Targets Initiative because leading businesses see this as an opportunity that will drive business innovation, provide a competitive advantage and position them as a solution-provider in the fight against climate change at no additional cost for their operations. The status update launched yesterday has more information about what companies are doing. Ultimately, and importantly, such targets will help to generate profit. According to the CDP’s 3% Solution Report, by setting science-based targets, the U.S. corporate sector alone would generate cumulative savings of up to $780 billion by 2020. Setting aggressive and ambitious goals means setting up business for future success, a future that is sustainable and resilient to climate change. Unprecedented corporate engagement on key climate issues including carbon pricing, finance, responsible policy engagement and science-based targets were announced today at the conclusion of the Caring for Climate (C4C) Business Forum, the official avenue for business at the Conference of Parties (COP) event in Paris. The event was attended by UN Secretary-General Ban Ki-moon; Minister of Environment, Sustainable Development and Energy, Ségolène Royal; and Secretary of State of the United States John Kerry. "All of us at the UN Global Compact are encouraged by the political will of leaders from more than 190 countries to negotiate an agreement. And never before have we seen this level of engagement from the private sector and it is clear that the momentum is unstoppable." 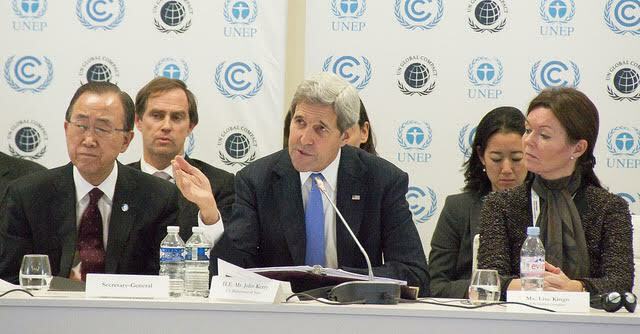 Every year, Caring for Climate takes stock of what its signatories have achieved. 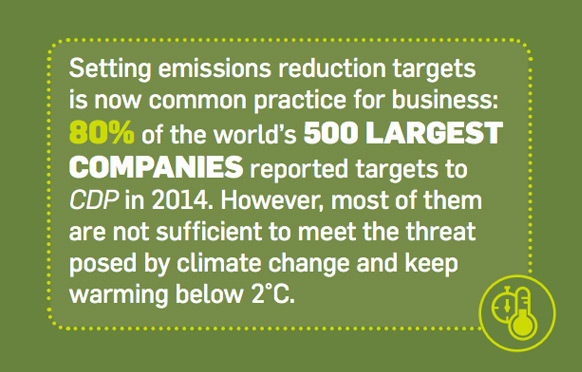 This year’s Progress Report – to be launched tomorrow at the Caring for Climate Business Forum at COP21 – looks at emissions performance as well as the progress companies have made against the five commitments they made when they joined the initiative. Participation in the Caring for Climate initiative has increased by 20% since 2010. The last year alone saw a participation increase of 16%. In 2014, a sample of signatories released approximately 1.6 million metric tonnes carbon dioxide equivalent (MtCO2e) of scope 1 and 2 emissions into the atmosphere – a decrease of 12% (215 MtCO2e) from the previous year. This is equivalent to taking 56 coal-fire power plants offline for one year. Check back here tomorrow to read the full report, watch the Forum livestream and see more from the event. Today is Action Day at COP21 and for the first time in the history of the COP climate conferences, business has an official role through the Lima-Paris Action Agenda (LPAA). It is clear that responsible businesses are taking action. Leading up to COP21, businesses have made over 2,000 commitments via the <="" a=""> and LPAA NAZCA portal. These include more than 30 cooperative initiatives – ranging from setting science-based targets to putting a price on carbon – and individual commitments that are measureable and time-bound. In just a few days, the high-level meeting at the Caring for Climate Business Forum will showcase all of the commitments made by business towards COP21. All companies are invited to join these leaders and commit to bold climate action. Visit the UN-Business Action Hub to see how your company can make a public commitment or find partners. As world leaders and government representatives continue negotiations to hammer out a global climate deal at COP21 in Paris, institutional investors are ratcheting up their contributions in a number of areas. More than 400 investors with a collective US$ 24 trillion in assets under management have now signed the Global Investor Statement on Climate Change. The statement is a call to action that sets out the steps that investors can and will take to address climate change alongside six specific policy responses from governments that would allow investor actions, including low-carbon investments, to be scaled up even further. The last week has seen significant milestones in four of the key investor activities: more than 115 investors have pledged to measure and disclose their carbon footprint via the Montréal Pledge. The Portfolio Decarbonization Coalition’s US$100 billion target has been exceeded by $130 billion as 23 investors now work to reduce their financed emissions, while more than $50 billion in low carbon investments are now registered on the Low Carbon Investment Registry. The Investor Platform for Climate Actions continues to be the home of all these initiatives and will be updated regularly throughout and beyond COP21 to reflect new announcements as they take place. 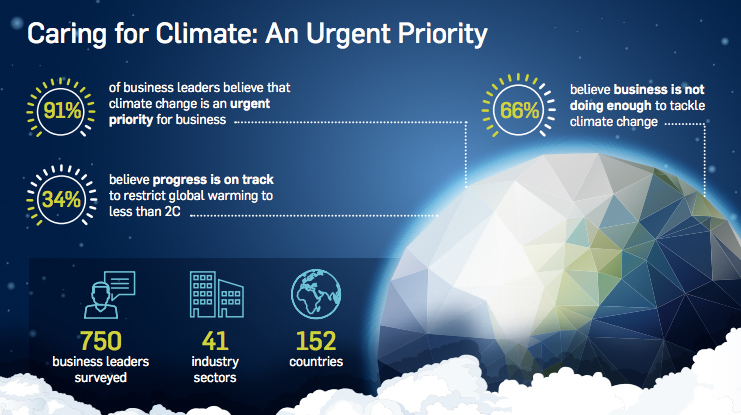 91% believe climate action is an urgent priority for business. 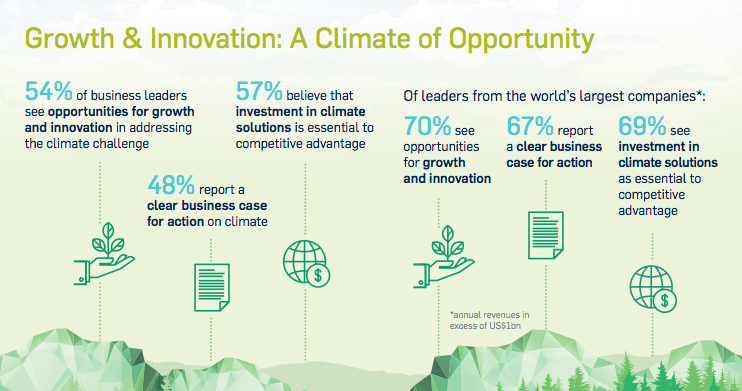 73% believe that ambitious national targets will be an essential factor influencing their company’s strategy and investments in addressing the climate challenge. See more findings from the UN Global Compact-Accenture CEO Study Special Edition: A Call to Climate Action. 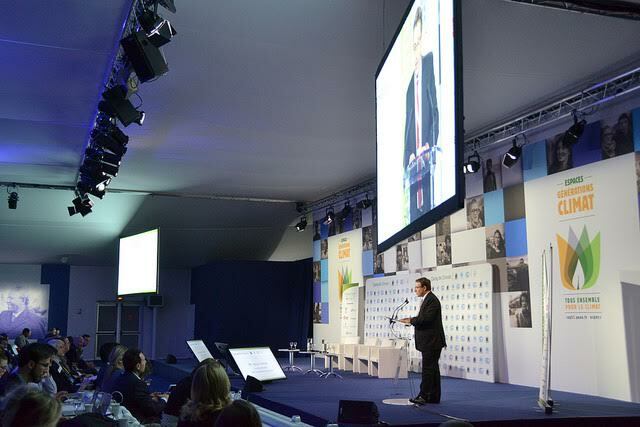 Today at COP21, the French and Peruvian government’s Lima-Paris Action Agenda (LPAA) will focus on resilience. Recognizing the close connection between water and climate change, the day will feature a dedicated water segment. Call for water to be taken into account at COP21 and in the global climate agenda. Commit to measure and minimize water risks and impacts by working with CDP, the UN Global Compact, WBCSD and other collaborative initiatives. The Resilience Day session is critical entry point for BAfW companies to share their message at COP21. They are delivering an important call for water challenges to be integrated into the global climate policy and financing architecture and for other businesses to commit to take meaningful action. Your company can support BAfW and the declaration by scaling up your own efforts to address water and climate challenges. 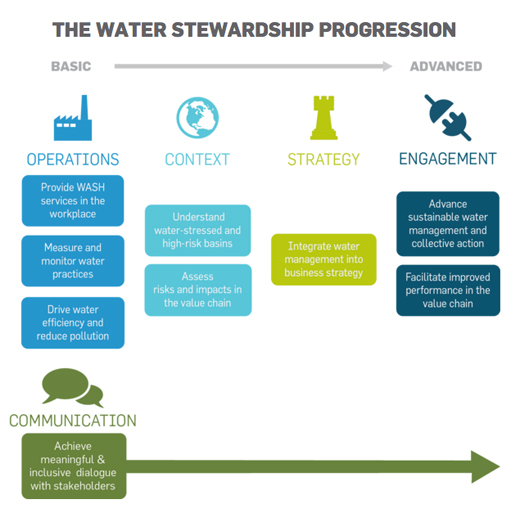 The CEO Water Mandate has developed a Water Stewardship Toolbox that can help your company identify the practices that will be most valuable and appropriate for your unique circumstances. The Toolbox has resources to help companies just beginning to work on water stewardship as well as those that have more advanced practices, following the progression below. In addition, the CEO Water Mandate and Caring for Climate have jointly developed a briefing note – currently open for consultation – to more deeply explore the linkages between climate and water challenges and what businesses need to know and do. All companies are invited to review the note and provide comments to Bernhard Frey at the UN Global Compact (freyb@un.org) and Stefanie Woodward at the Pacific Institute (swoodward@pacinst.org). Yesterday at a special event on the margins of COP21, Heads of State put the spotlight on carbon pricing as a necessary and effective measure to tackle the climate change challenge. Together with a global agreement, a sufficient price for carbon will help create the necessary rules and market signals to limit warming to 2°C. To mobilize companies to take action, the UN Global Compact – together with UNEP, the UNFCCC secretariat and Caring for Climate partners – launched the Business Leadership Criteria on Carbon Pricing at the UN Secretary-General’s Climate Summit just over a year ago. The Criteria set a high bar for companies, calling them to set an internal carbon price, advocate publicly for carbon markets, and communicate on progress over time. Over 60 companies representing US$1.9 trillion in market capitalization have aligned with the criteria and are taking strong, urgent action against climate change. However, more than 1,000 companies report that they are pricing carbon internally now, or will be by 2017. We want all of them -- and even more companies – to align with the Criteria. Learn more about the Criteria and how your company can become a Carbon Pricing Champion. In addition, companies that align with the Criteria are contributing to the goals of the multi-stakeholder Carbon Pricing Leadership Coalition led by the World Bank. To help companies put their carbon pricing commitments into action, yesterday the UN Global Compact and World Resources Institute, together with Caring for Climate partners, released the Executive Guide to Carbon Pricing Leadership: A Caring for Climate Report. The guide, which features insights from more than 100 companies from around the world, is designed for individuals who are now completing due diligence on carbon pricing of behalf of their companies. "Today marks the opening of COP 21 in Paris where Government leaders will negotiate an agreement to reduce emissions and put us on a path towards climate neutrality. The recent attacks underscore the importance of these negotiations and the opportunity for the global community to come together to address one of the most critical issues of our time."